Reading with your young child provides great bonding time. You and your child will both love it, and it will give your child a great start in school! Imagination Library – Sign up for Dolly Parton’s program to send a free book to your child every month. Ready to Read – Gives early literacy skills up to 3rd grade. Lists songs, books and resources for parents to use to help promote reading. Growing Up Reading – Describes development of reading and language skills from birth to first grade. You will find book and activity suggestions for babies, toddlers, preschoolers to first graders. Babies and Books – You will find suggested books for each stage of development. PBS Parents’ Guide to Reading & Language – Learn how children become readers and writers and how you can help them develop by talking, reading, and writing together every day. Center For Early Literacy Learning (CELL) – Provides evidence-based early literacy practices for parents, teachers and caregivers for children birth through age 5. Stages of Child Development – Describes stages of child development physically and mentally up to age 5. Though each child develops at different rates, general milestone benchmarks are given. Family Reading Experience – National PTA initiative teamed with Kindle to promote a reading experience that engages the entire family to improve reading skills in grades K-5. Activities are provided (in both English and Spanish). Computer Safety – Basic information on how to help keep your child protected while using the computer. ABCs of Teaching Reading – Various articles that detail what reading involves and how to best teach reading. Child Development At Age 3 – Gives developmental information on the intellectual, physical, and social/emotional development growth of a 3-year-old child. Gives parents information on how to help encourage language and some basic pre-reading skills. 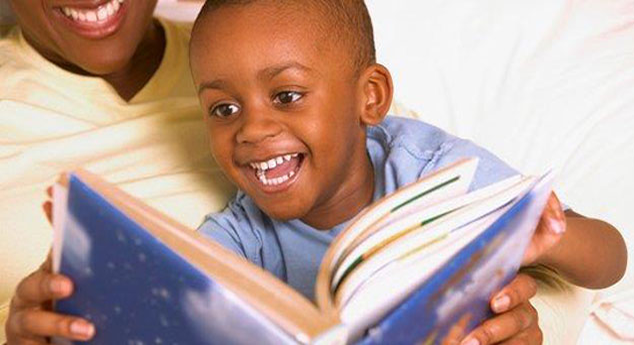 Early Literacy – Provides basic information on what early literacy entails. Parents may sign up and join blog. Early Literacy Tips – Gives early literacy tips to parents, listing pre-reading skills, and provides some resources for them to use. Birth to Six: Early Literacy – Early reading tips and information. Encourages parents as first teachers. Helps them form foundation to help children learn to read. Tips For Improving Reading In Children and Teens – Parent articles on child development and how to help your child succeed in school. It does advocate particular programs, in addition to general information. Great Schools – Article detailing the reading process and how to recognize reading difficulties. READ 20’s Favorite Read Alouds – These are the books we have the most fun reading with children. Helping Reluctant Readers – Provides strategies to help reluctant readers become better readers. Especially helpful to parents. Chattanooga 2.0 – Chattanooga 2.0 is a community-led movement to write the next chapter in our future by transforming education and workforce opportunities in Hamilton County. Strategies – Information about Special Education. Site especially for teachers, providing strategies to help struggling readers. Hamilton County Department of Education – Gives parents and families access to local public education information about administration, teachers, curriculum, school information and school policy/procedures. EDMODO – Allows students, teachers and parents a portal to interact with the school system to find out more in-depth information. Requires sign up. TCAP Assessment – Provides information on standardized testing. Gives general information on how to prepare your child. Also provides a link with more in-depth information.